F&S Forest Hills Appliance Repair specializes in professional appliance repair in Forest Hills, New York. Our local technicians fix all popular brands and all styles of household appliances. You can depend on to arrive at your home on time and receive superior service and immediate results. You don’t have to live one more minute with a broken appliance in your house! 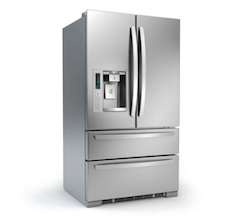 F&S Forest Hills Appliance Repair can fix all popular styles of refrigerators – includes commercial units, stand-alone and side-by-side. Our licensed technicians undergo on-going training to troubleshoot and repair cooling issues, broken ice makers, condensation problems, dripping water and leaking, light bulbs, digital boards, smart synchronization and various problems. Learn more. 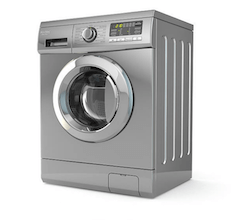 F&S Forest Hills Appliance Repair performs service for all types of issues on standard washing machines and dryers. This includes issues related to agitation, vibration, banging noises, door closure, draining and several other typical issues. Customers in Forest Hills can count on our team to finish the service during the initial visit and to restore the appliance to its original performance. Learn more. F&S Forest Hills Appliance Repair completes dishwasher repair in Forest Hills. 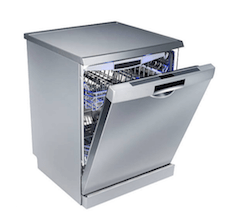 Our appliance technicians diagnose and repair more dishwashers each week than any other appliance. So we know dishwashers! Our repairmen fix all types of issues that create odors, cloudy silverware, unusual noises, agitation, draining problems, burning odors, dripping water and a lot more. Learn more. F&S Forest Hills Appliance Repair is trained in fixing ovens, stoves and ranges – including industrial models for restaurants and hotels. 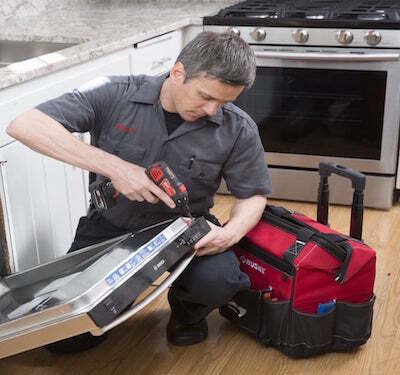 Repairmen bring the best tools and training to fix doors, burners, control panels, heating elements and vents on electric and gas models. Our oven repair service includes a satisfaction guarantee and 1-year warranty on manufacturer parts and labor. Learn more. We believe F&S Forest Hills Appliance Repair is the best choice for appliance repair in Forest Hills, NY. We are confident in our service. Our primary office is located in Queens County and we are able to perform same-day service for our customers in Forest Hills. F&S Forest Hills Appliance Repair loves Forest Hills. We all live in town and want the absolute best for all residents and the surrounding community. Every one of our technicians can fix and troubleshoot all household appliances. A polite, licensed and knowledgeable appliance repairman will come to your house. That is our promise to all of our customers! We provide service for dryers, refrigerators, washing machines, freezers, wine coolers, stoves and ovens, electric ranges, residential dishwashers and more! Check out our Appliance Repair FAQ. We commit to continuously educate ourselves and our staff on the most recent styles and latest household appliance technology to ensure we can help you! A. With a broken appliance in your home you have two choices. 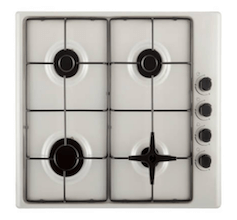 You can hire an appliance repair service and attempt to cut costs. If that is successful, you will be able to continue to use your current stove, freezer, refrigerator or washing machine and dryer. The second option is to replace the model. All home appliances come with an projected lifetime. If it’s a broken appliance in the early or middle part of that average lifetime, we recommend using F&S Forest Hills Appliance Repair. In the event the home appliance is somewhere close to the end of its average lifetime, we would consider replacing the appliance with a new unit assuming your budget allows. A. Yes. We do. Our service features a 1-year warranty on replacement parts and our labor. Our repairmen utilize manufacturer replacement parts for Kenmore, GE, KitchenAid, York and many other appliance brands to guarantee we maintain the manufacturer’s warranty. Do not wait to reach out to us our service if a issue continues with one of your home appliances. Q. CAN YOU REPAIR MY APPLIANCE ON THE FIRST SERVICE? A. It’s always our goal to finish the repair within the initial visit. Over the years we have been serving customers, we estimate we are successful in repairing things with just one visit about 85% of the time. We load almost all of the standard manufacturer appliance parts in our vans plus all of the necessary tools to complete the work. If we do need to come back to complete the work, there will be no return service cost. Q. WHAT IS THE SERVICE WINDOW FOR AN APPOINTMENT? A. When you schedule an appointment from F&S Forest Hills Appliance Repair, we will offer a two to three hour window for our arrival at your home. Then, our repairmen will call 15 to 20 minutes before their arrival. We know how important our clients’ time is. So, we do our best to arrive on time. Since some repair jobs require more time than estimated, we give our repairmen some cushion to finish one job and not be late for the next job. Q. IS THERE A LIST OF APPLIANCE BRANDS YOU REPAIR? Nice job! The repairman was in and out and the final cost was reasonable. Would recommend. I am very happy with the service I received from F&S Appliance Repair. Trustworthy and knowledgeable. I'm hoping we won't need a new stove now for awhile thanks to F&S fixing the thermostat on ours. I've known Ken Jr. of F&S Forest Hills Appliance Repair for about 15 years now. There's no one in Queens who knows about appliances and fixing things around the house ... except maybe his dad, haha. Give them a call!